Building New Skills to Last a Lifetime! Psychotherapy is an avenue to help you discover and then drop all the barriers – thoughts, emotions, mistaken beliefs – that build walls between you and your birthright to live a full, balanced, and satisfying life. Psychotherapy doesn’t just help solve problems – You will discover what you need to learn about what caused the barriers in the first place. Only through meeting your process compassionately, will you be able to change the effects of your history – now and in the future. As a graduate from the University of Utah’s Master of Social Work program with a Licensed Clinical Social Worker (LCSW) degree, I’ve owned my private practice business for over 20 years. I offer therapy as well as useful information to help anyone improve their mental health, relationships, and quality of life. I come from a psychodynamic perspective, and teach cognitive-behavioral strategies for lasting change. Through compassionate listening in a safe atmosphere, my clients and I join to discover what’s not working for them, and decide on the outcomes they wish to achieve. In addition, I offer support and the necessary education, training, and self-management skills to last a lifetime. I have experience working with a diverse population of clientele with problems ranging from life-dissatisfaction to chronic mental illness. I also develop trainings and seminars to meet various business needs. Most of my clients are patient-referrals, attesting to their overall satisfaction. If you have ineffective patterns of coping, they have become elusive roadblocks, depriving you of your birthright to live a full, balanced, and satisfying life. Through therapy we can explore ways to rewire some of the brain-body’s automatic reactions to experiences. In doing so, we can literally change the effects of your history. When this process is repeated over the course of your therapy it will also help restore the inborn nature of the nervous system to regulate emotion. Skills Training: communication, assertiveness, managing emotions (i.e., anger, anxiety, depression, grief, shyness, social fears); mindfulness; cognitive restructuring; increasing self-awareness and self- esteem. Journaling: free-flow consciousness, the Awareness Wheel, Inner Child healing, dialogues, the ‘unsent’ letter, and The Work. Life Values Clarification: including identifying, action planning, and evaluating progress as well as setbacks. Relationship issues; Managing moods/emotions; Ineffective Habits such as eating disorders, chemical/behavioral dependencies, control issues; Problems with Social Anxiety; Trauma related issues; A desire for a more Meaningful Existence. 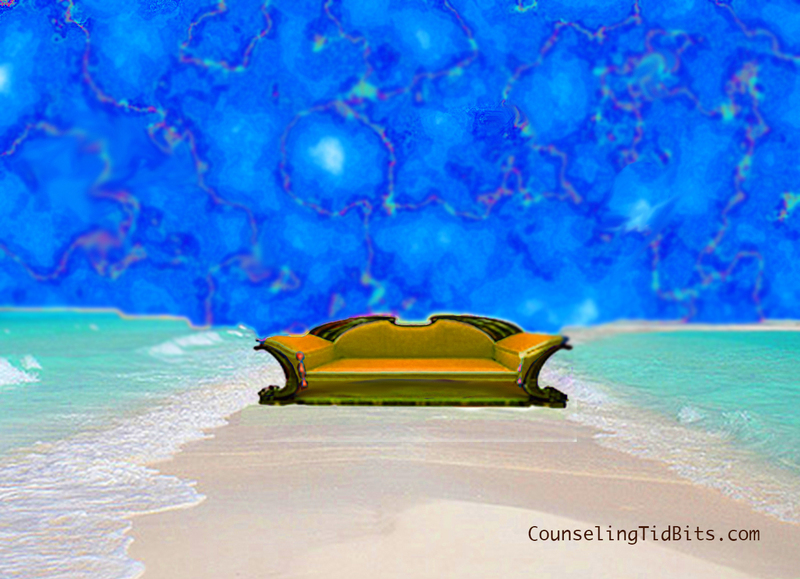 I am currently accepting new clients via internet-based therapies, including video chat, email, and phone sessions. Love the wisdom you share on your website.